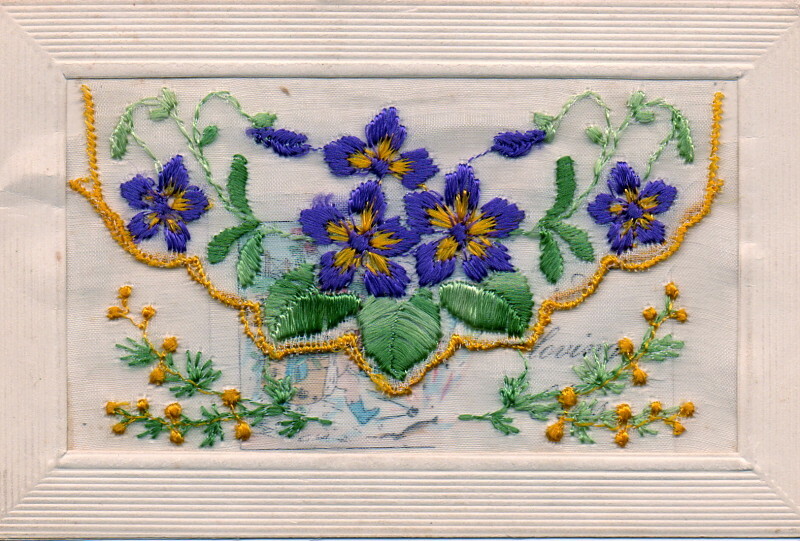 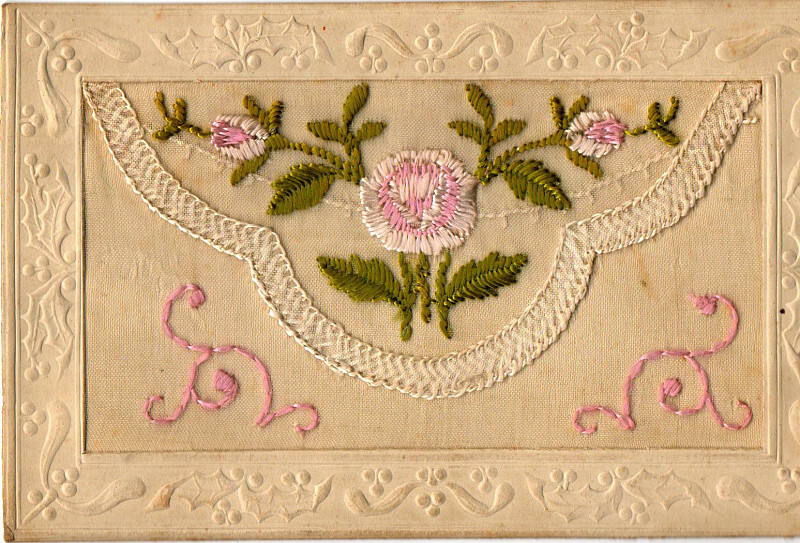 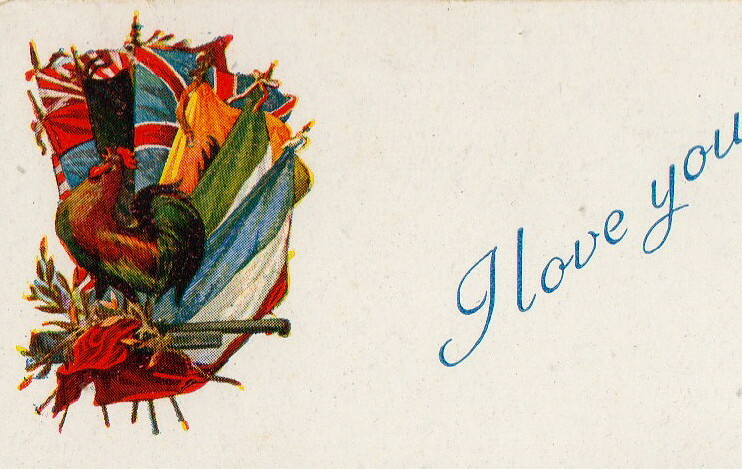 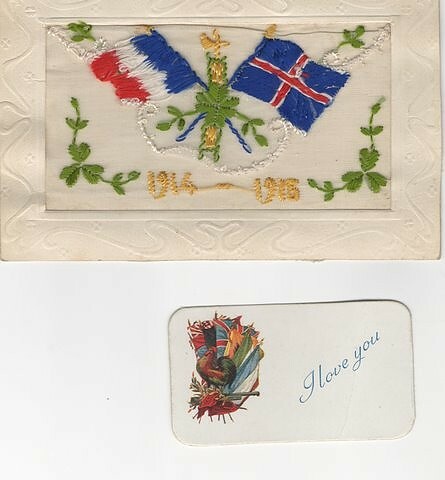 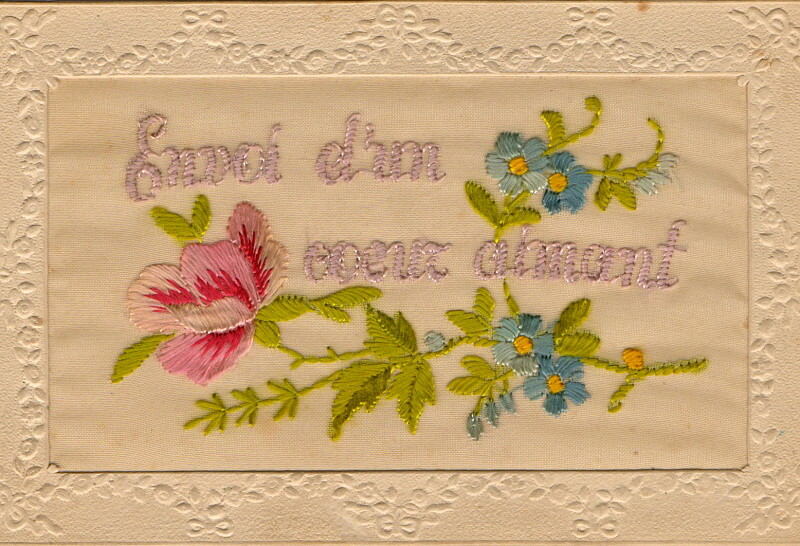 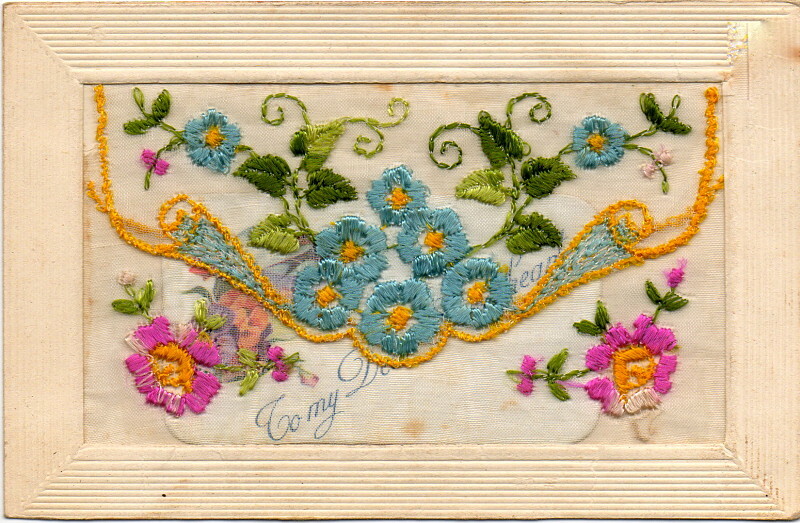 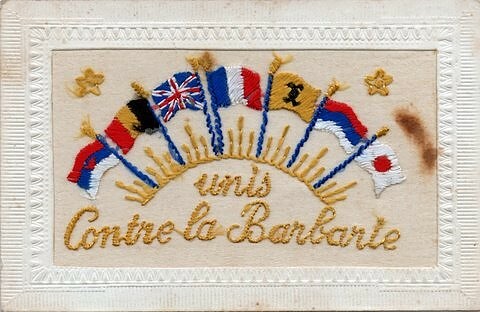 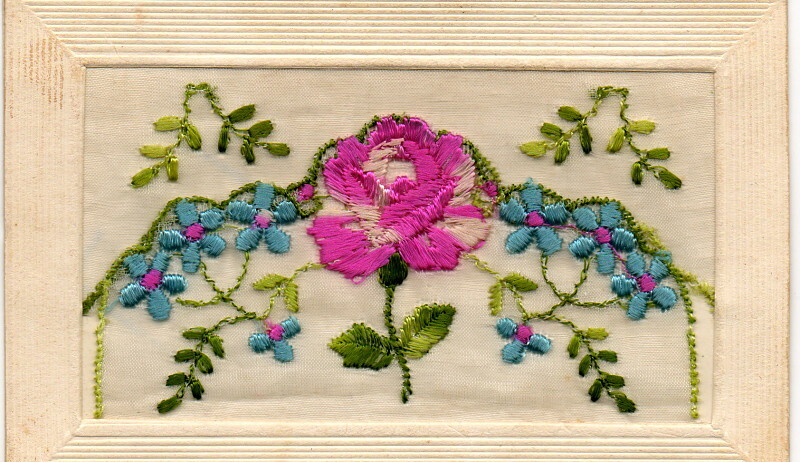 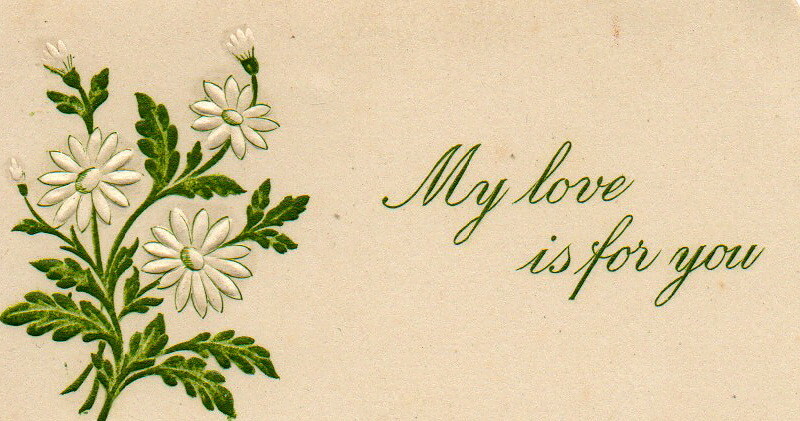 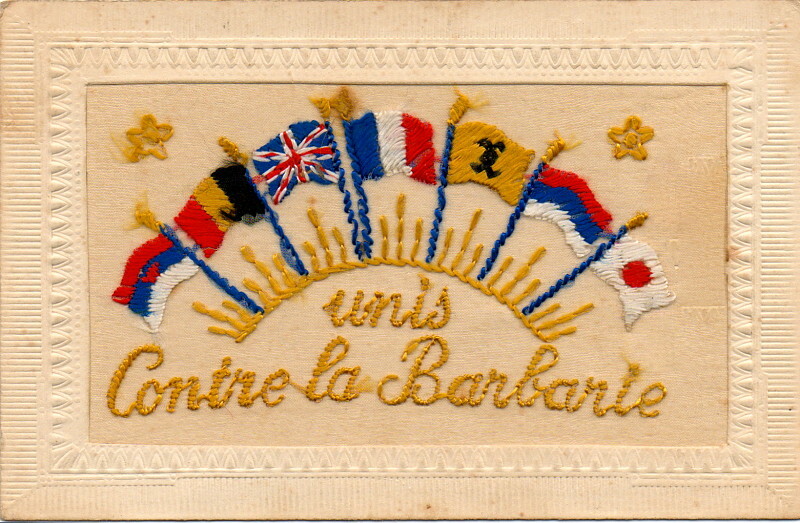 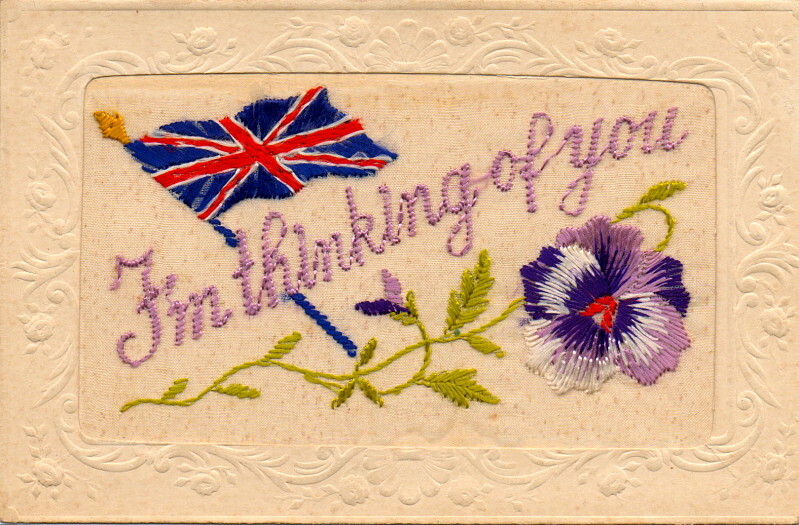 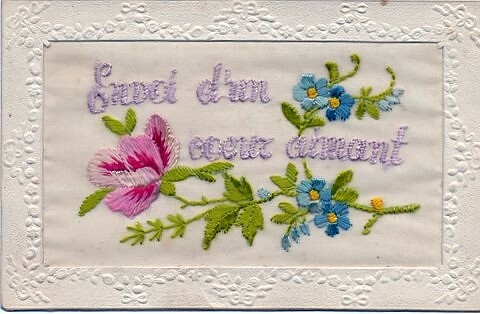 Cyril sent very many of these silk/lace cards. 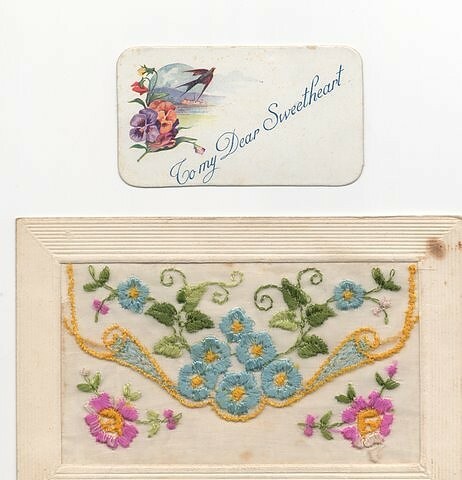 He sent them in a separate envelope to protect them from postage marks and damage, which means that they are in remarkable condition, unfortunately it also makes them very hard to date. 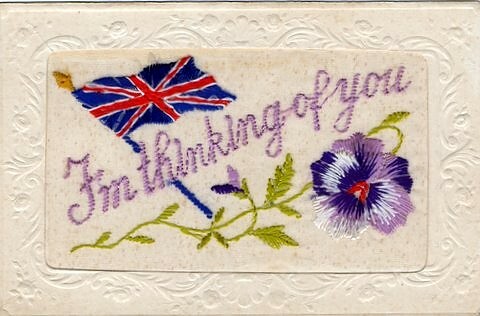 Some of the scans have been enhanced in an effort to show the beautiful silk embroidery as it must have looked when they arrived, others have been left as they were when they were scanned in 2011 - getting on for 100 years after they were posted - in a couple of cases I've included both versions so that you can see for yourself the difference.